The incredibly powerful open source media player VLC is about to hit a huge milestone: three billion downloads. As spotted by Variety, a counter on Videolan's stand at CES 2019 showed the number drawing ever closer, and the team expect to hit the target some time on the afternoon of January 11, just before the show draws to a close. 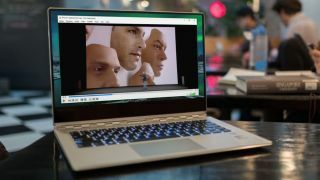 VLC is available for Windows, Mac, Linux, iOS and Android, and lead developer Jean-Baptiste Kempf says roughly a quarter of new downloads are coming from mobile devices. Videolan isn't resting on its laurels, though, and Kempf says several new features are on their way to the software's billions of users. One of the most significant additions is AirPlay support, which will help bridge the gap between operating systems by enabling users on any platform to send videos straight to an Apple TV and could arrive as soon as February. The team is also working on enhanced virtual reality support, which will make it possible for viewers to watch 2D videos in a 'virtual theater' using a VR headset. There's no word on when this might appear in the main app, but we look forward to experiencing it when it appears.